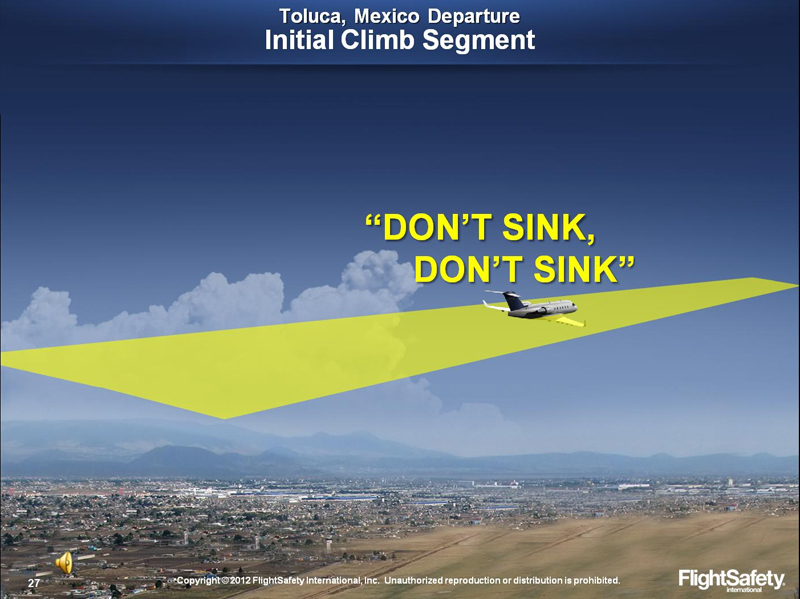 Controlled flight into terrain remains the leading cause of aviation accidents worldwide. 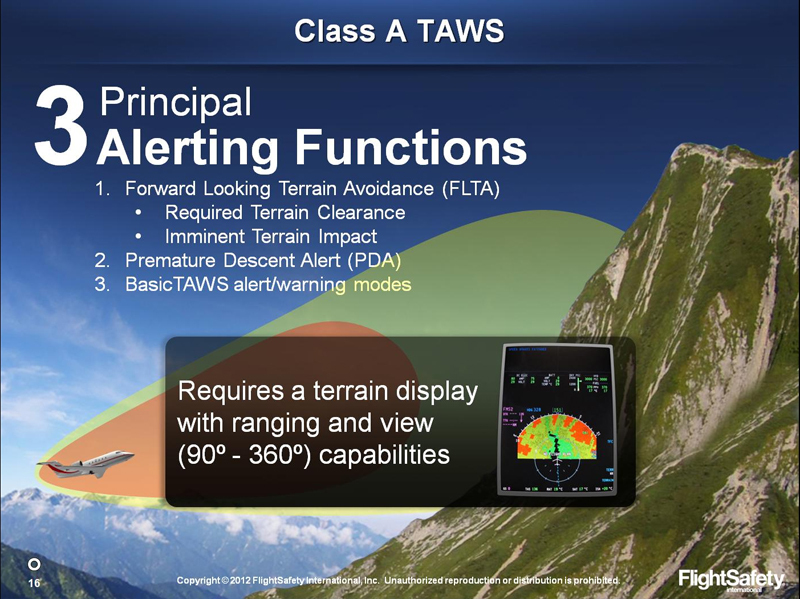 Learn how the Terrain Awareness and Warning System (TAWS) was designed to help keep you safe with FlightSafety's TAWS Course. 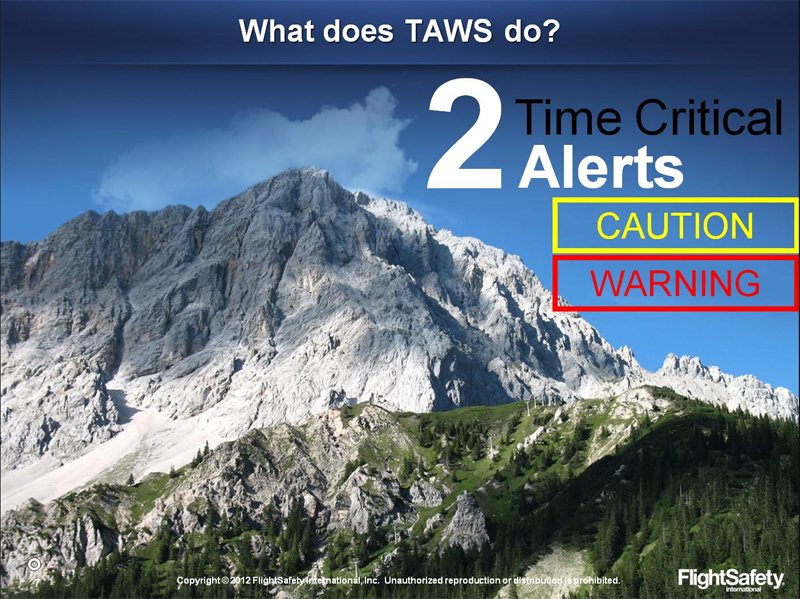 Whether you need a refresher on your system's capabilities or are seeing TAWS for the first time, this course will provide you with the knowledge needed to take full advantage of this lifesaving system. This course is compliant with Transport Canada CASS 724.115(32)(a)(i,iv,v). Regulatory Requirements: When approved by a POI, it will satisfy American, European, and Canadian Requirements. 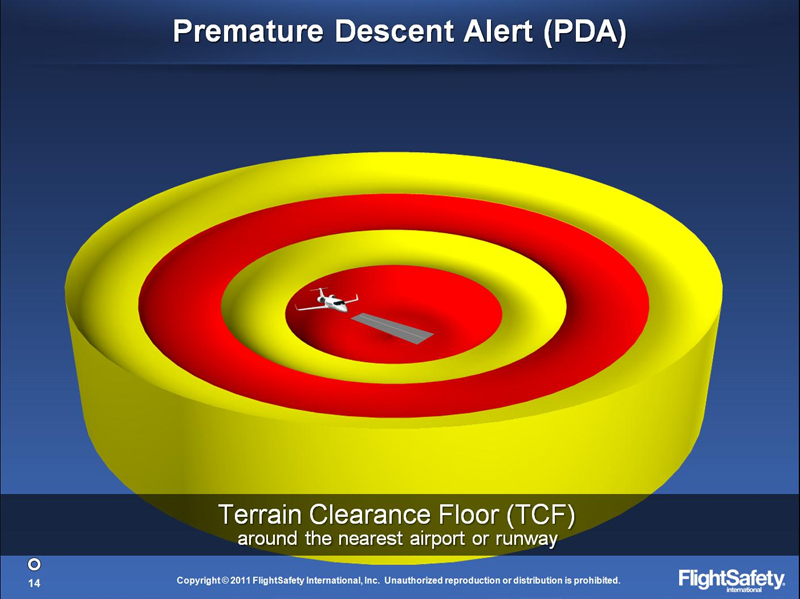 This course is compliant with Transport Canada CASS 724.115(32)(a)(i,iv,v).